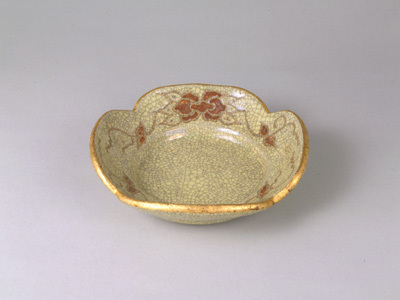 This is one of the series of 200 bowls produced by Sanyû in 1733, known as “Sanyû's 200”. 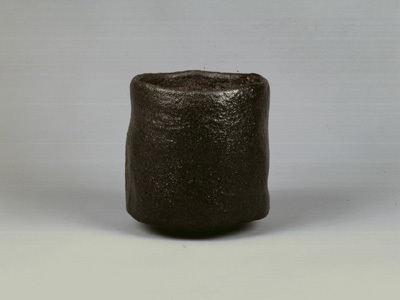 Each bowl is stylistically varied and all were named by Joshinsai, the 7th head of Omote Senke school of tea, who also left the inscription on the box. 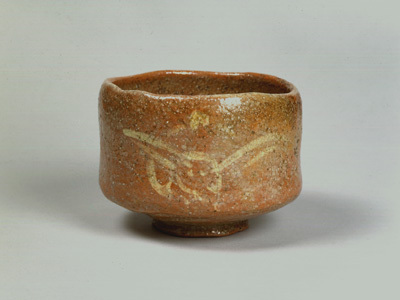 It is one of the best examples representing “Sanyû's 200” tea bowls. Large and generous in form, the bowl bears a lively design of a rabbit in white slip on the front. It is among “Sanyû's 200”. Raku mukôzuke dish is usually in either chrysanthemum flower shape or mokkogata, lobed shape. A carved peony pattern done by the trimming is typical of the Raku traditional style.